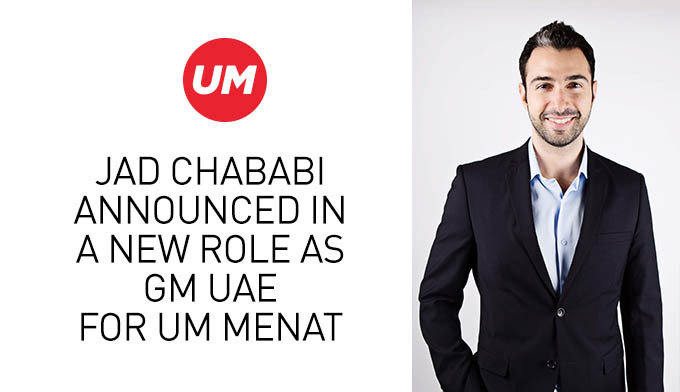 UM MENAT have announced Jad Chababi in a new role as General Manager, UAE. Jad’s appointment comes as UM MENAT continues to strengthen the capabilities in their flagship operation and lead on key new product, people and client initiatives. Jad joined MCN as Regional Business Director for J3 MENA in 2014. At J3, he helped consolidate the Johnson and Johnson media business by winning the digital and social verticals of the brand, and expanded the remit of the Dubai team to include new markets in Africa and Turkey. As well, Jad has proven his strong leadership and managerial skills by playing a pivotal role in leading the transformation of MCN Mediabrands operations in Turkey.